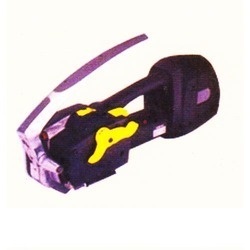 Pioneers in the industry, we offer battery powered strapping tool and pneumatic strapping tool from India. In order to attain the maximum satisfaction of our esteemed clients, we are engaged in trading and supplying the best-in-class Battery Powered Strapping Tool. Our provided tools are widely used for strapping in metal pipes, bricks and other industries. Manufactured as per the industry norms at our vendor’s end, these tools are applauded in the market for their fine cutting, efficiency and trouble free service. Moreover, we offer these tools in different technical specifications as per the requirement of our valuable clients. 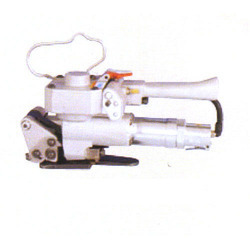 Backed by a team of adroit professionals, we are trading and supplying an extensive array of Pneumatic Strapping Tool. The provided tools are manufactured with the best quality components as well as sophisticated technology at our vendor’s premises. Due to its varied characteristics like smooth operation and long service life, the offered tools are highly demanded in the market. Furthermore, our prestigious patrons can avail these tools from us at rock bottom prices.